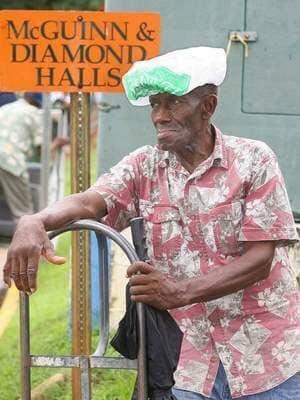 A Florida A&M University institution has passed away. News of “Soul Train’s” death began circulating Monday on social media. "Soul Train" was a fixture on FAMU's campus for nearly 30 years. He could be found on the school's "set" selling students snacks for a$1. His name was Hoover Lawrence. But most FAMU students knew him as Soul Train. “Well, Soul Train was truly an iconic fixture on the campus of Florida A&M University. He bled Orange and Green," said Rep. Ramon Alexander, D-Tallahassee, an FAMU alumnus. Soul Train could be found on or near "The Set" selling bags of chips, drinks and other snacks for students to buy between classes for a dollar. He was a source of stories and life advice to students. “I remember having many conversations with him," Alexander said. "Typically, I’d be walking from the set to Tucker Hall where many of my classes were, and he was always pleasant, always had a smile on his face and he exuded what excellence with caring and what FAMU is all about and he will truly be missed." A university spokeswoman confirmed Lawrence's death. A message on his daughter's facebook page says he was just shy of his 90th birthday. Soul Train had been a fixture on FAMU’s campus for nearly three decades.